Get A #SmartiPhone8 Today Like I Did! Last November 17, I braved the crazy Friday Traffic from Manila to Ortigas just to be at the Smart Jump Center, SM Megamall. I remembered how I got my iPhone 7 early this year! It was as easy as going to the Smart center and pay a minimal amount because I opted for higher memory (hello Kyle Nash videos and photos!) This is what I love about being a Smart Subscriber, I don't need to shell out one-time cash-out because I have a good monthly plan - so must you! For the iPhone 8 and iPhone 8 Plus plan, it gets better! If you are aiming for an upgrade, here are the stunning colors available made with stunning glass and aluminum design! I went for the gorgeous "ROSE" Gold! I am seriously IN LOVE with this shade! And because I have been a Smart Postpaid subscriber for years, here are just some of the perks if you grab your #SmartiPhone 8 and 8 Plus at Smart! Charge to bill. It’s easier to apply with Smart postpaid because you can charge to your monthly bill the total plan inclusive of the device cost. Payment of the Smart iPhone 8 and 8 Plus devices for plans Php1499, 1999,2499 and 2999 can be paid in easy 24 monthly payments versus a big one-time cash-out through the monthly postpaid bill. No need for a credit card. Maximized iPhone features with more data. 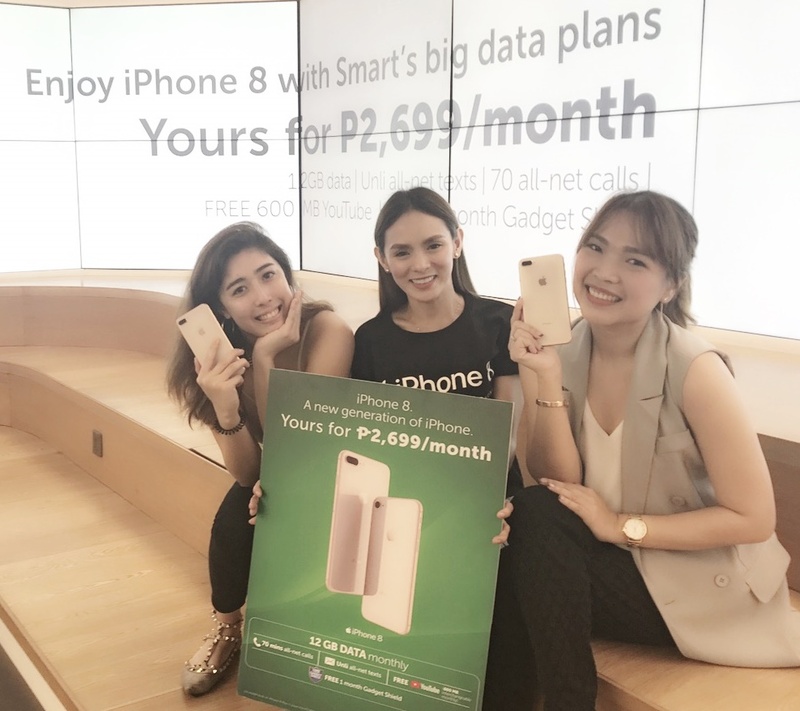 Smart gives you more data to optimize your new iPhone (1GB more). More open access data means better plan value and more reasons to enjoy your new iPhone and its features. On top of that you enjoy free VAS/app that’s interchangeable monthly and that won’t eat up your monthly data volume allocation. Some favorite apps commonly used daily are unlidata in volume. These apps are FB, FB Messenger, Waze, Whatsapp, Line, Viber. Powered by fastest LTE. The new iPhone is best experienced with Open Signal’s fastest LTE Network. Smart continues to cover the country with LTE connectivity plus built-in all-net calls across all plans. Gadget shield. Smart gives a one month gadget shield for free against accidental damage or theft. 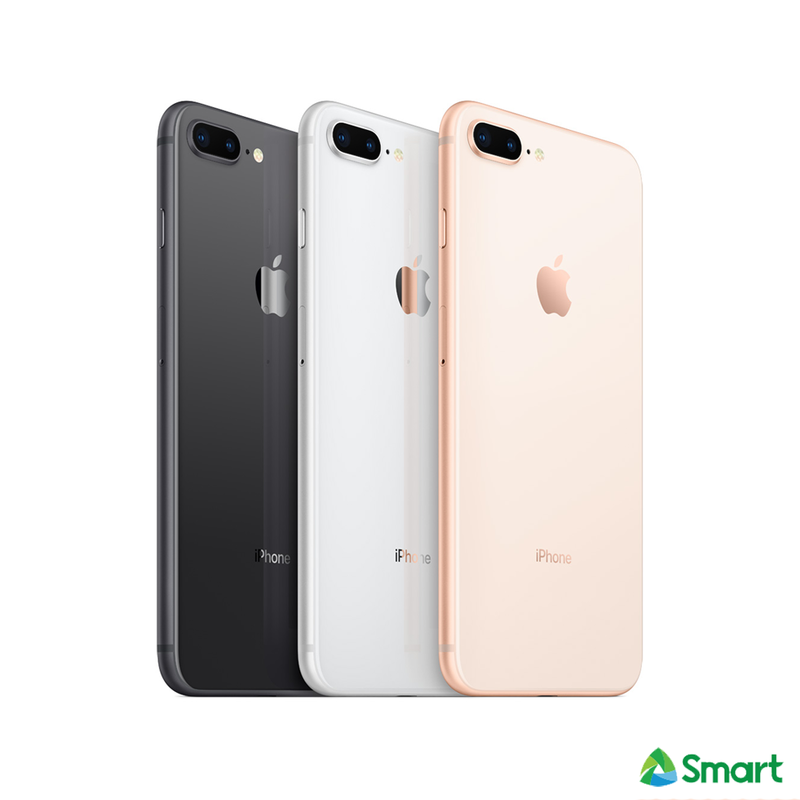 Smart’s front liners will register you upon availment of the iPhone 8 plans. 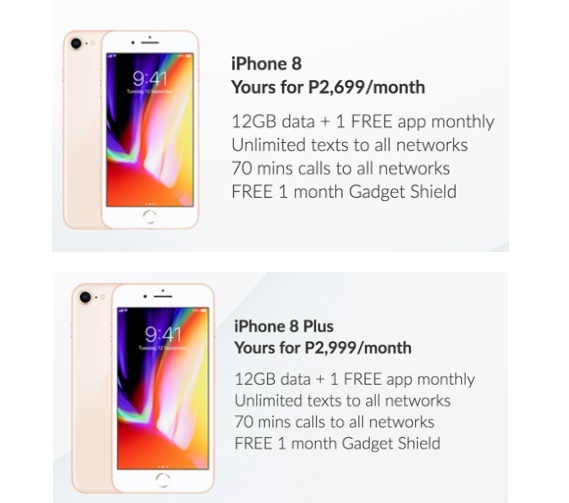 before I can finally fully use my #SmartiPhone8 Plus! Do you have any brand suggestions?